The European Court of Justice has determined that a website must get permission from the copyright owner of an image before it can use the picture itself – even if that photo or illustration is readily available elsewhere. That may seem like an obvious conclusion, however, the official advice delivered to the Euro court by its general advocate argued otherwise, with disagreement centered around the legal definition of what represents a "new public" when it comes to publication. The question asked of the ECJ was: "Whether the concept of 'communication to the public' covers the posting on a website of a photograph which has been previously published on another website without any restrictions preventing it from being downloaded and with the consent of the copyright holder." The court ruled on Tuesday that yes, it does. And that has huge implications for anyone in charge of a website. There is one very unfortunate aspect to the case: the infringing party wasn't some scumbag cloning outfit that steals people's content to make money, but rather a German schoolchild doing a class project. The unnamed youngster downloaded a picture of the picturesque Spanish city of Córdoba from a travel website, and used it in a presentation at her secondary school. The presentation was then posted on the school's website where it was noticed by the copyright holder – photographer Dirk Renckhoff – who then sued the western German state where the school was based, Land Nordrhein-Westfalen, claiming damages of €400. The state's argument was that the image was freely accessible on another website – travel site Schwarzaufweiss.de that had sought and received permission from Herr Renckhoff before putting it online – so it didn't need a "new authorization." It also argued that the pupil and her teacher did not act deliberately, and weren't aware of the consequences of posting the image. A photo of Spanish city of Córdoba, used under license, that is basically the same as the copyrighted image ... You'll just have to take our word for it. Renckhoff, of course, argued that it was his image, he gets to decide where it is posted, and won his case. And as daily generators of copyrighted work, who are we to argue against that? The decision was appealed, though, and the legal row duly made its way to the European supreme court, which initially decided it was unsure whether or not the school website represented a "new public." "It is uncertain… whether in those circumstances the photo… was communicated to a new public on the school's website, that is to say, to a public which the rightholder did not envisage when he authorized the original communication of his work to the public," the court noted. But it concluded that while a photographer could expect the "public" to see his picture on that particular travel website, it was not the same to say he would expect it to be seen on a completely different website – hence the appearance on the school website was a "new public." Piling in came the ECJ's advocate general Manuel Campos Sánchez-Bordona, who questioned whether the photograph was so generic that it shouldn't be protected by copyright. 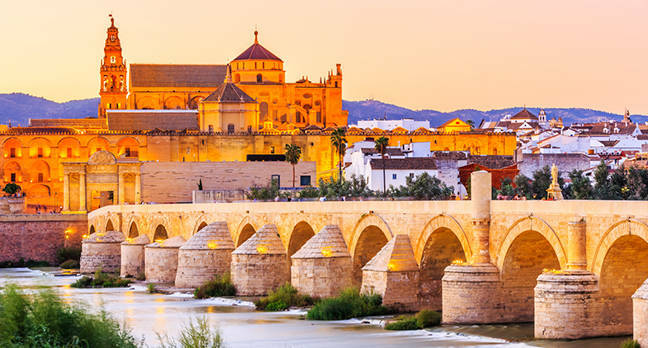 "Without in any way wishing to detract from the merits of the photograph, it seems doubtful to me that a simple shot of the city of Cordoba, with the Roman bridge in the foreground, satisfies the aforesaid requirements of the Painer judgment," he wrote – to some amazement from journalistic and visual arts organizations. But he then dug into several different aspects of the case including the fact that: it was a school project, with a limited audience; it was not done with any profit motive; there was no mention of the photographer's copyright on the original travel website; and there were no restrictions on the travel website – the picture was readily accessible. Taking these factors together, and considering that the use of the photo was for "educational purposes," Sánchez-Bordona concluded that "in this case, there was no communication to the public within the meaning of the case-law of the Court of Justice," and recommended that the school win the case. That recommendation led to an outcry from photography and artists' organizations, however, who wrote a letter to the ECJ arguing that deciding against the photographer would "deny the fundamental right of authors to rightfully exploit their works," and have "devastating consequences for all authors willing to make their work available online." They pointed out [PDF] that to decide in favor of the school would effectively obligate all artists from now on to "deploy technological measures to protect their work," or risk losing their copyright altogether. Considering all this, the ECJ finally found in favor of the photographer, and rejected Sánchez-Bordona's advice, noting that "any use of a work by a third party without such prior consent must be regarded as infringing the copyright of that work." It went out of its way to stress that hyperlinking to a picture is very different to downloading and uploading a photo to a different website, but noted that "the posting of a work protected by copyright on a website other than that on which it was initially communicated with the consent of the copyright holder must, in circumstances such as those at issue, be regarded as making available to a new public." Crucially, the ECJ considered and rejected the notion that since it was an educational publication that it should be exempt from the normal copyright requirements. "It must be recalled that, as regards the pursuit of a balance between the right to education and the protection of the right to intellectual property," the court stated, "the EU legislature provided an option for Member States to provide for exceptions or limits… so long as it is for the sole purpose of illustration for teaching or scientific research and to the extent justified by the non-commercial purpose to be achieved." It decided that since the presentation was posted on the school website, accessible to any internet user, a line had been crossed. The implications are huge: it will embolden copyright holders to demand payment from any website that hosts their images. And that could potentially force millions of websites to take down all their pictures if they are hit repeatedly with payment demands. It will also mean that every website – even school websites – will have to make sure that they only post images that they have permission to post. And pretty much everyone is going to have to reeducate themselves about what is and is not allowable online. It going to be messy, yet the decision also represents a gradual clawing back of previous norms in the internet era. It never made sense that people should be able to take other people's hard work – whether that's music, or video, or articles, or photographs – and do whatever they want with it just because it was possible to do so quickly and easily.